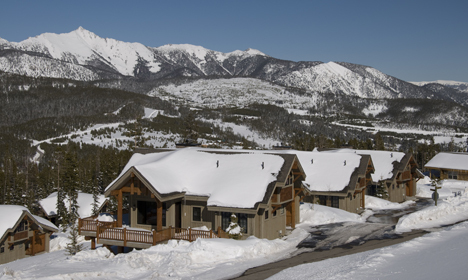 Big Sky accommodations features ski resorts and hotels plus a wide array of vacation rentals including condos, vacation guest houses, cabins and cottages. Discover the lodging option best suited to fit your vacation. Explore this page to find where to stay in Big Sky. Spanish Creek. 21 miles N of Big Sky on Highway 191, 8 miles SE on Spanish Creek Road. Greek Creek. 11 miles N of Big Sky on Highway 191. Moose Creek Flat. 9 miles N of Big Sky on Highway 191. Red Cliff. 7 miles S of Big Sky on Highway 191. Lone Mountain Ranch. PO Box 160069, Big Sky, MT 59716. Phone: 406-995-4644; Toll-free: 1-800-514-4644; Fax: 406-995-4670. The Corral Motel. 42895 Gallatin Road, Big Sky, MT 59716. Phone: 406-995-4249; Toll-free: 1-888-995-4249; Fax: 406-995-2471. River Rock Lodge. 3080 Pine Drive, Big Sky, MT 59716. Phone: 406-995-4455; Fax: 406-995-9561. Big EZ Lodge. 7000 Beaver Creek Road, Big Sky, MT 59716. Phone: 406-995-7000; Fax: 406-995-7007. 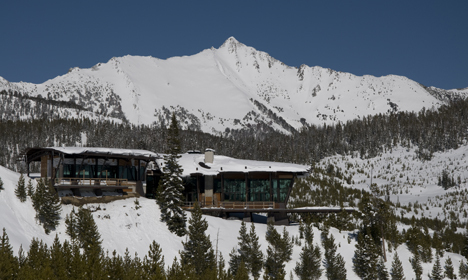 Big Sky Chalet Rentals. Phone: 406-995-2665; Toll-free: 1-800-845-4428; Fax: 406-995-3299. Big Sky Luxury Rentals/Alpine Property Management. PO Box 161758, Big Sky, MT 59716. Phone: 406-995-7211; Toll-free: 1-800-844-6081; Fax: 406-995-7211. Big Sky Vacation Home (War Dance). Phone: 713-226-1213; Fax: 713-522-7008. East West Resorts. Toll-free: 1-877-512-9794. Golden Eagle Lodge & Property Management Company. Phone: 406-995-4800; Toll-free: 1-800-548-4488; Fax: 406-995-2447. Resort Property Management. 3080 Pine Drive, Big Sky, MT 59716. Toll-free: 1-866-995-4455.